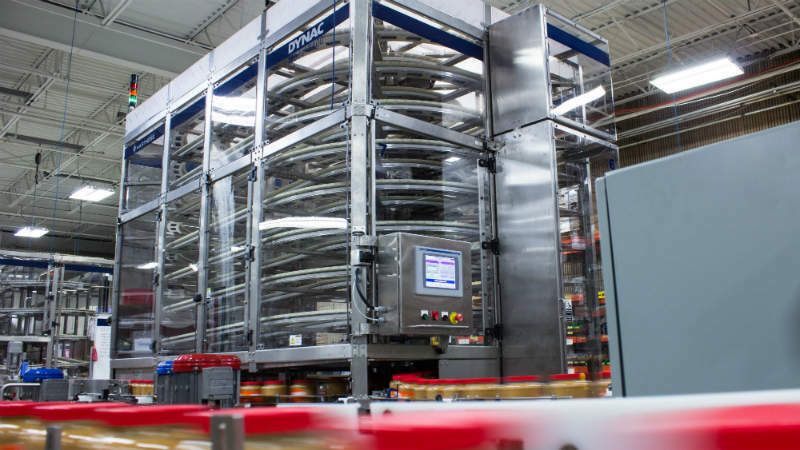 Hartness manufactures innovative secondary packaging equipment for the food and beverage industries. The company addresses production challenges such as volume increases, packaging changes and material reduction through its cost-effective accumulation, case packing and palletising solutions, which offer increased efficiencies throughout the production line process. 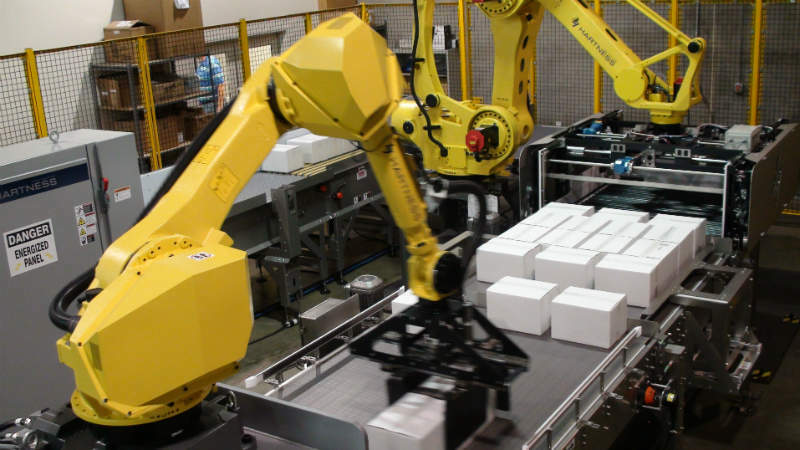 Hartness’ processing solutions have applications in robotics, upstream and downstream product flow, case packing, laning, conveying and engineering services. Hartness’ DYNAC dynamic accumulating system helps food production lines run consistently and without interruption. 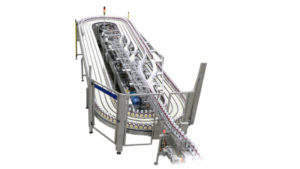 The system absorbs the effects of microstops and improves the line’s efficiency. 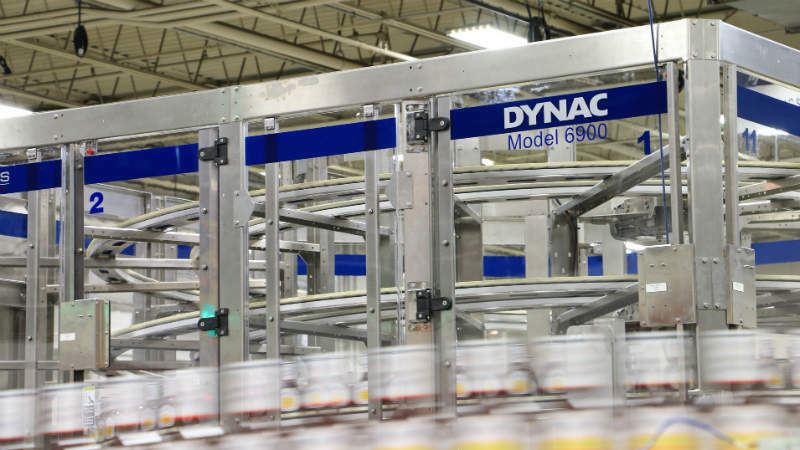 Installed in 6,500 lines worldwide, the DYNAC accumulation and first-in-first-out (FIFO) buffering conveyor conveys products with zero pressure-handling. It is able to run a variety of rigid and flexible containers and accommodates a wide range of sizes and shapes. 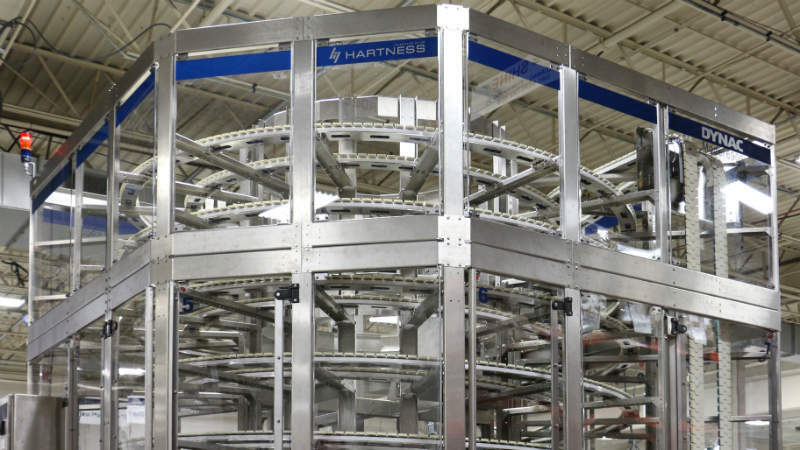 Hartness’ floor level and spiral systems are configured for mass flow or single file product handling for many product types. 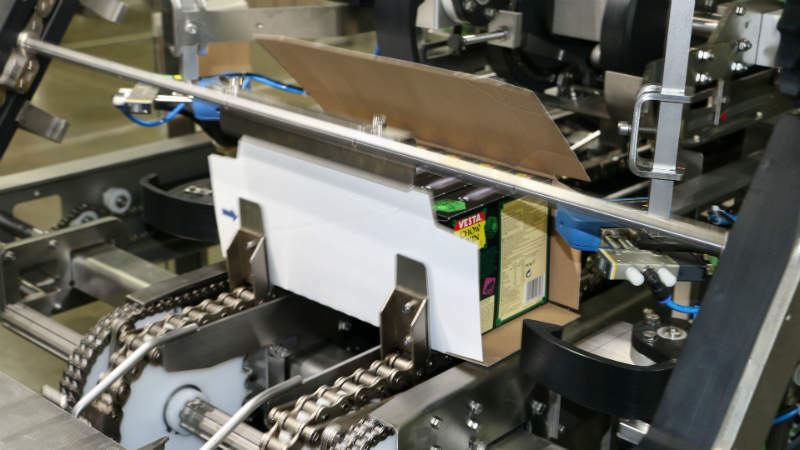 Hartness offers a wide range of case packing and wrapping equipment, which includes high-speed machines and intermittent or continuous motion packing solutions. 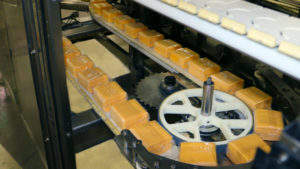 The company’s vertical load case packers are flexible and reliable air transfer systems that position containers for packing. Place-packing is available for difficult-to-handle or lightweighted containers. 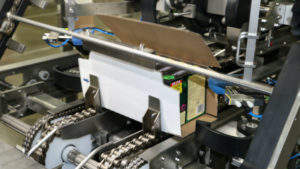 Hartness’ multi-packing platform includes mid-speed to high-speed tray shrink and film-only shrink wrappers. 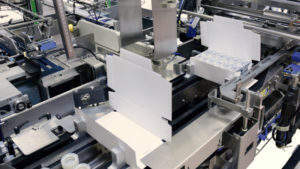 The company also offers retail-ready packaging and a full line of wraparound and tray packing options. 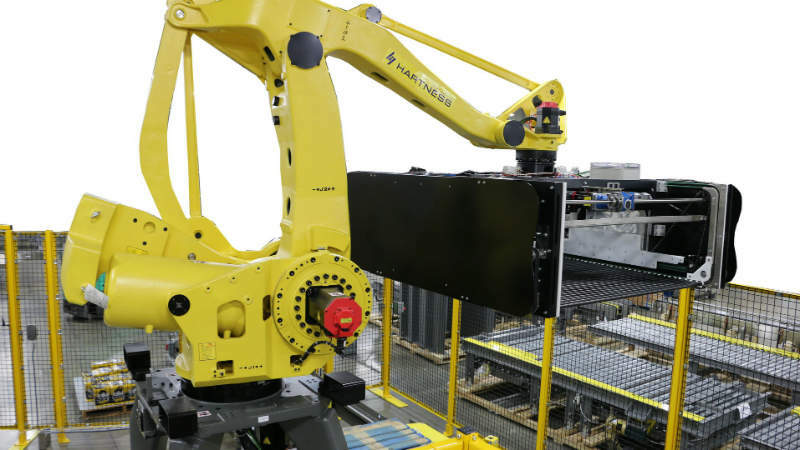 Hartness offers a wide range of robotic palletising and depalletising systems that efficiently meet clients’ product and speed requirements. The firm’s innovative and patented end-of-arm tools are designed for precision and efficiency. The company’s automated solutions feature pack orienting, layer forming, single carton and full-layer palletising to meet the requirements of most speeds and footprints. 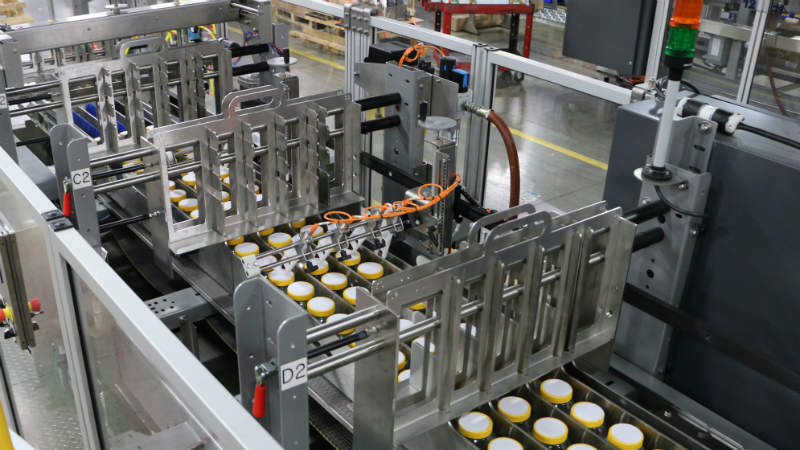 For high-speed multi-line applications, Hartness designs comprehensive palletiser cells, which handle products from several lines, load pallets, place tier sheets, orient and pick cartons and then palletise. The company also manufactures depalletisers with integrated single filing for glass or polyethylene terephthalate (PET) for bulk applications. 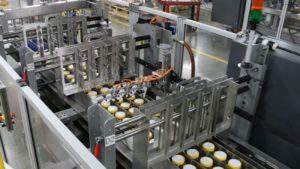 Hartness’ palletisers and depalletisers are controlled by Hartness Connect, a simple, intuitive interface software and hardware that facilitates communication between the equipment and the operator. The company’s comprehensive training and support ensure that the equipment is installed properly and that operators are thoroughly trained. 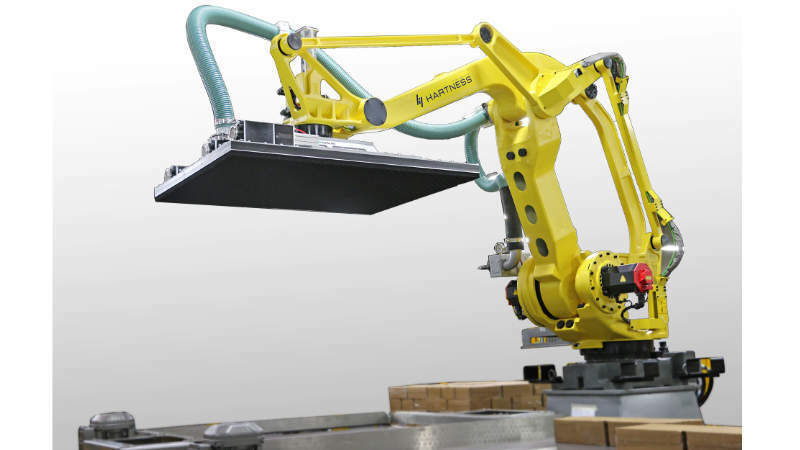 Hartness’ expert engineering services effectively integrate processing equipment into an existing production line, while its project managers handle feasibility, scope development, project execution and training. The firm’s technical support team also responds to any issues 24/7. 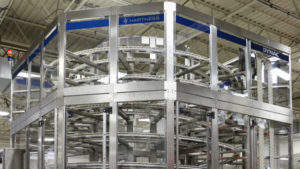 Hartness International is a subsidiary of Illinois Tool Works (ITW), a Fortune 200 diversified manufacturing company. For more than 50 years, Hartness has supplied innovative equipment to the packaging industry worldwide. 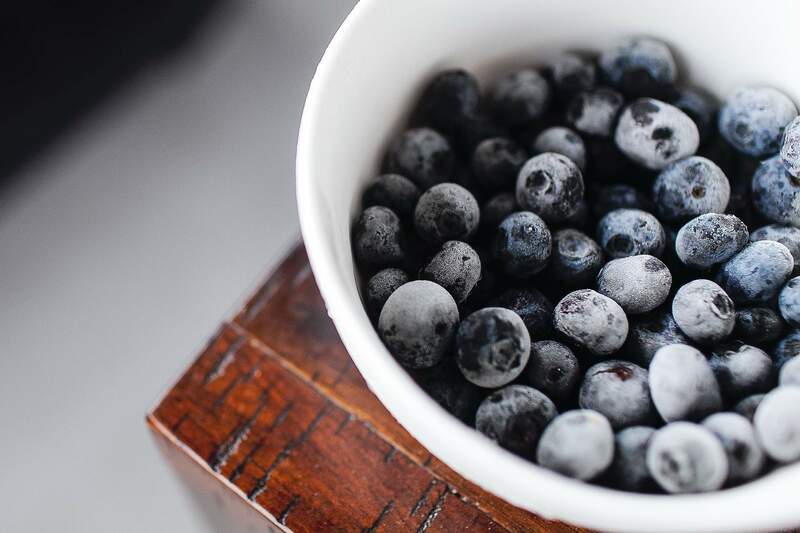 Its extensive product line offers a variety of solutions that enable its clients to meet the ever-changing needs of the market. The company continues to develop, with a global network of resources, customer-focused solutions and commercial innovations. 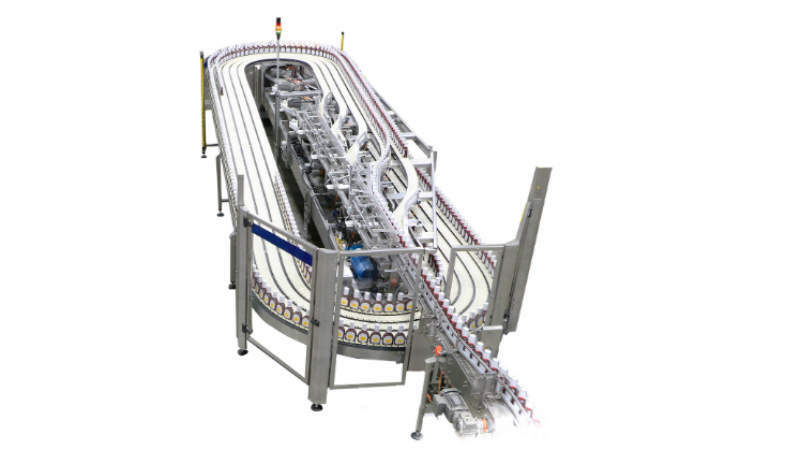 Keeping your product moving demands an intelligent machine, one that dynamically controls upstream and downstream product flow for consistent and pressure-less handling.